HANNA automatic titrators range from multiparameter research grade systems, to mini meters made to suit specific industries. Titration, also known is a laboratory method of quantitative chemical analysis that is used to determine the unknown concentration of a known reactant. What is a Potentiometric titration? Potentiometric titration is a technique similar to direct titration of a redox reaction. No indicator is used, instead the voltage across the analyte, typically an electrolyte solution is measured. How is Potentiometric titration prefomred? To do this, two electrodes are used, a neutral electrode and a standard reference electrode. The voltage is recorded at intervals as the titrant is added. A graph of voltage against volume added can be drawn and the end point of the reaction is half way between the jump in voltage. 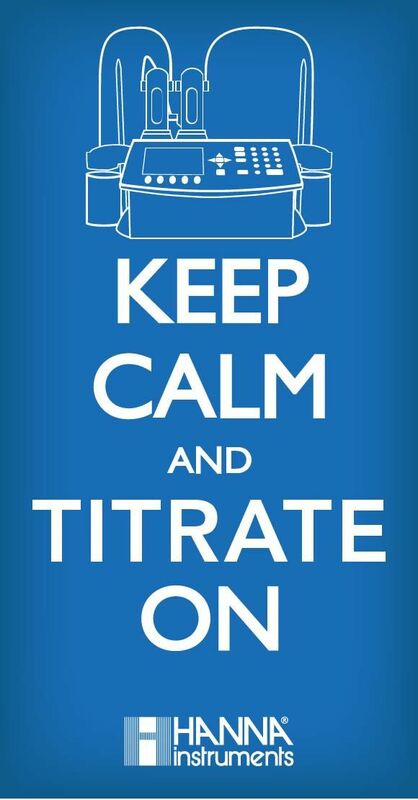 Do you have a titration system for moisture analysis?